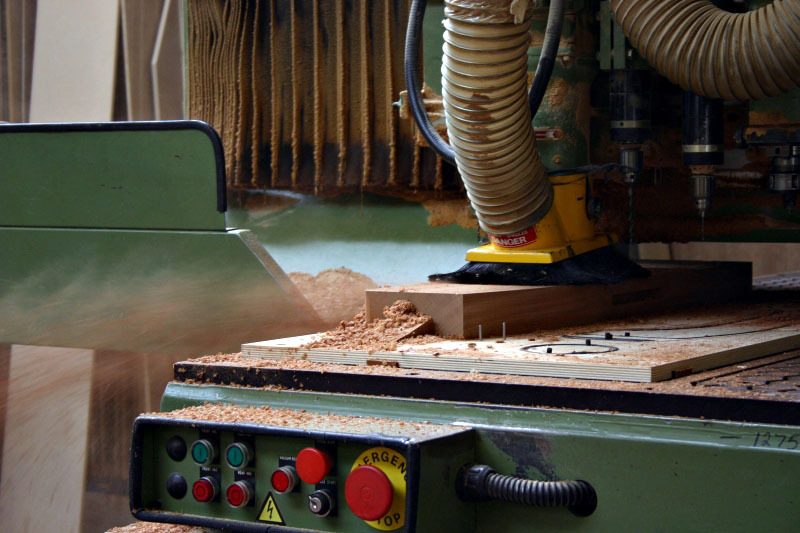 D.W. General Wood Machinists Ltd is a fully equipped trade mill able to offer wood machining services to any industry or trade. 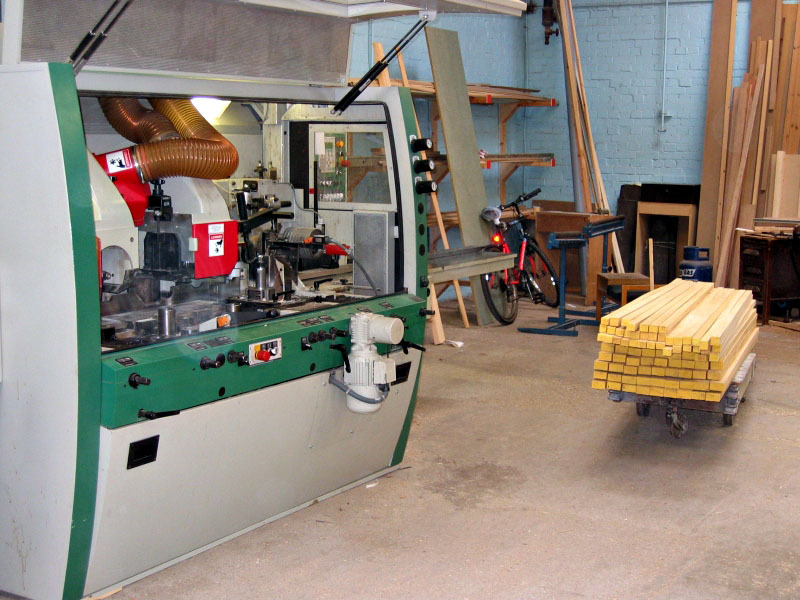 We also sell timber stock through our trade counter, D.W. Timber Supplies. 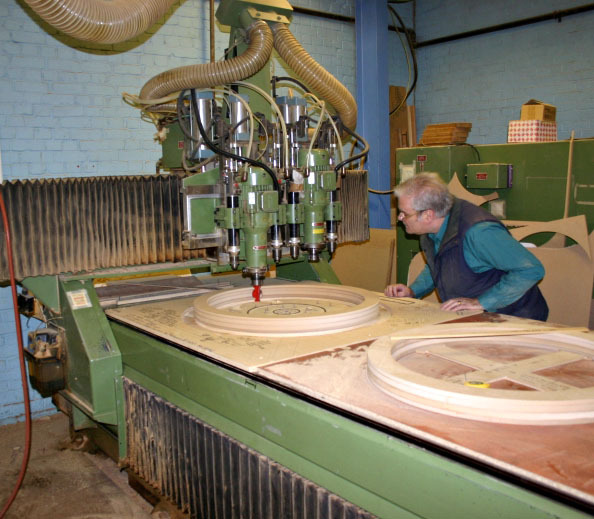 Our business is general wood machining: including mouldings, CNC routering, planing, drilling, cutting panels, wood components, cabinets, displays, shop fittings and edged panels, all completed to a high standard. 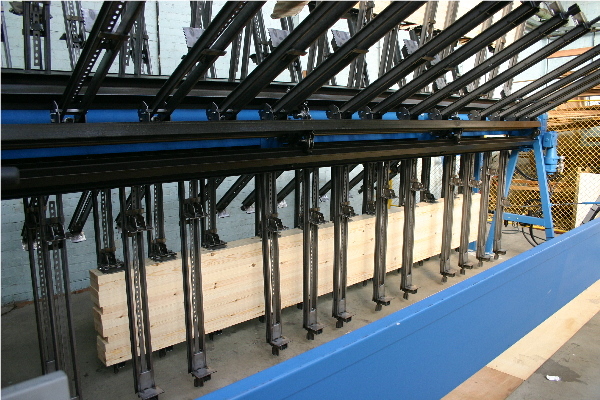 We can make any quantity of machined product, from a one off to long production runs. We make anything from small components up to a fully finished product. 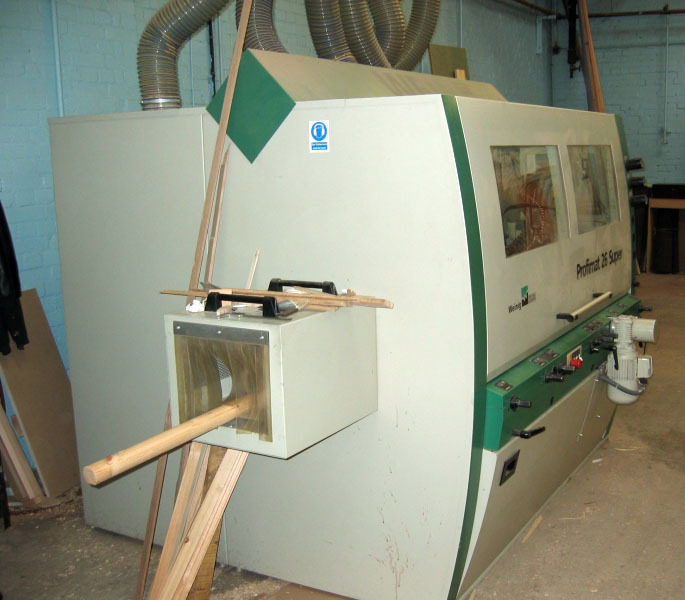 We have two Rye CNC routers, both with two router heads and four drills, capable of machining panels to a consistent level of accuracy. 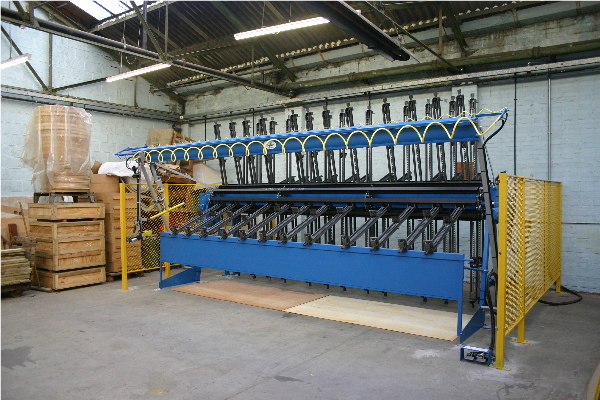 All programming and jigs are made in-house by experienced and skilled staff. A Weinig 6 head moulder allows us to produce PAR sections up to 230x120mm, production mouldings from our range of pre-ground cutters (see our online catalogue under mouldings ) or bespoke mouldings to your specific design. 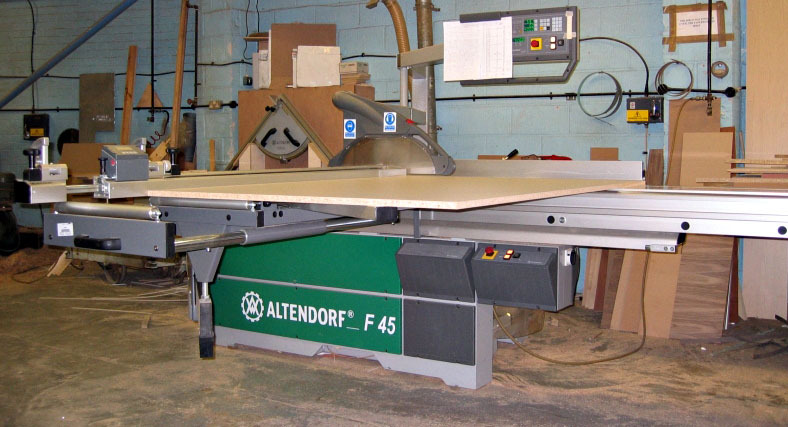 Our three Altendorf panel saws, including a computerised F45, allow us to cut all panel products to a high level of accuracy. 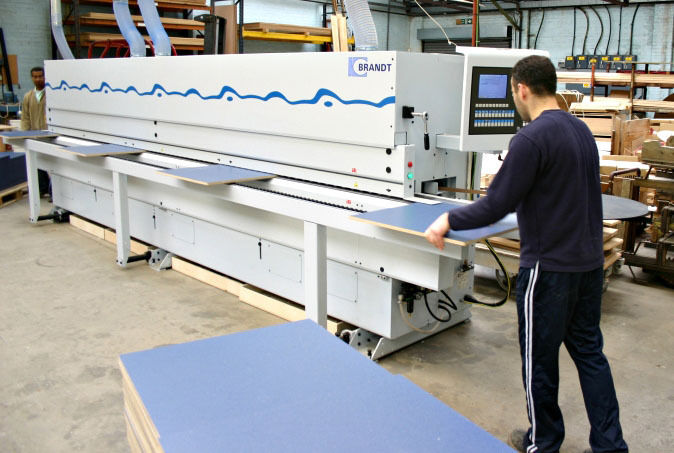 We use a Brandt KDF 670 edge bander which is capable of edging panels from 10mm to 50mm thick and edging thickness of 0.4mm to 20mm. 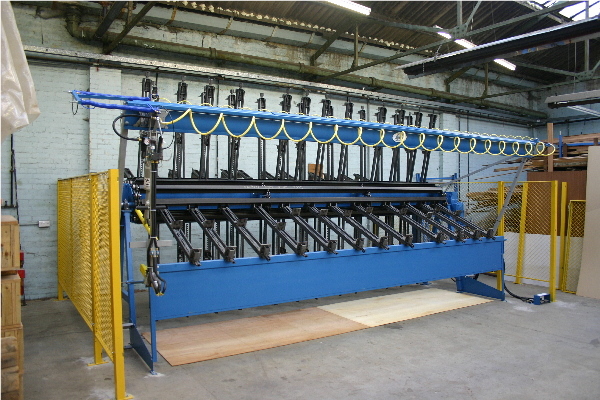 Our Taylor Laminating Cramp produces jointed panels up to 5m x 1m. 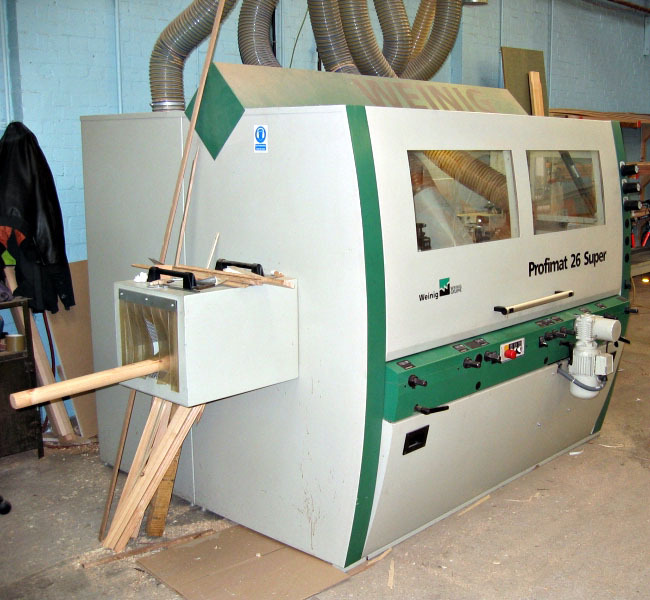 We have planers with 760x220mm capacity, spindle moulders, drills, overhead routers, morticer, tenoner and various sanding machines. We also have an assembly section. We have an on-site facility to spray finish timber mouldings and other products including staining, lacquering and paint finishes. We stock a wide range of timber for all your needs. 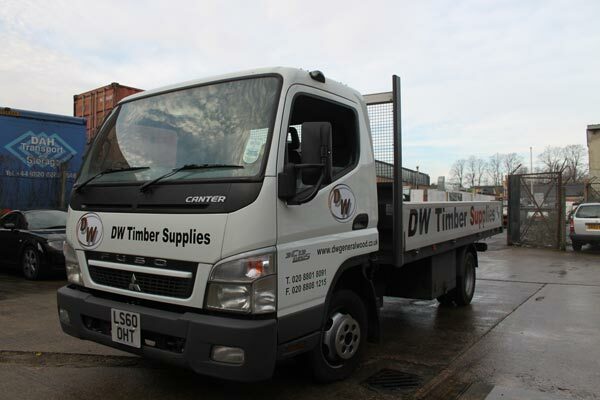 All timber stock is available through our trade counter, DW Timber Supplies. Calls on 020 8801 8091. DW Timber Price List 2018 issue 1 This is a PDF version of our price list (prices correct as of Jan 2018). Swedish and Finnish sawn redwoods in a selection of sizes, all unsorted grade. 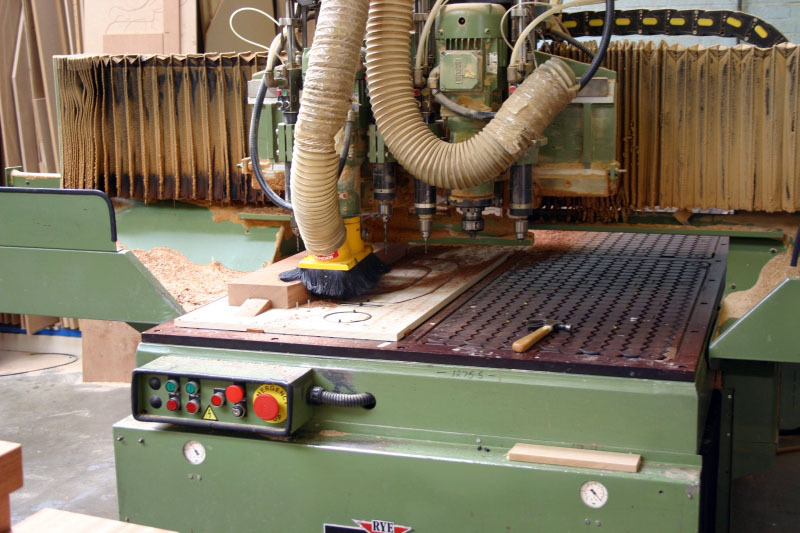 We stock a full range of panel products including MDF, MR MDF, Far Eastern Plywood, birch plywood, chipboard, veneered MDF, softwood plywood, OSB, white faced MDF & chipboard, hardboard and laminated pine boards. We will also machine customer’s new free issue timber and panels. Small orders can be dispatched nationwide on a next day courier service. For larger orders we run our own transport and can deliver direct to customers or to a site. If you’d like a quote call 020 8801 1127 or email info@dwwood.co.uk and we’ll be happy to help.